Ethiopian Airlines Crash Kills All 157 On Board [VIDEO] - Joe.My.God. An Ethiopian Airlines jet has crashed shortly after take-off from Addis Ababa, killing all on board. 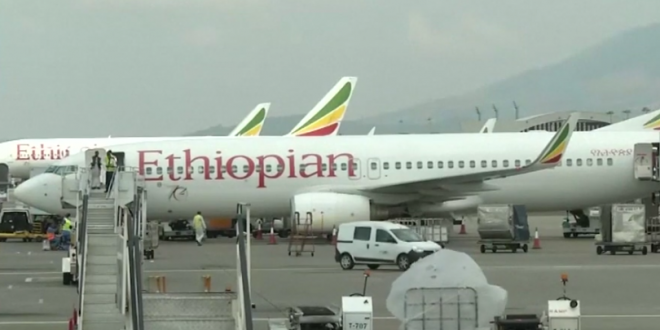 The airline said 149 passengers and eight crew members were on flight ET302 from the Ethiopian capital to Nairobi in Kenya. It said 32 Kenyans, 18 Canadians, eight Americans and seven British nationals were among the passengers. The crash happened at 08.44 local time, six minutes after the months-old Boeing 737 Max-8 took off. It is not yet clear what caused the accident. However, the pilot had reported difficulties and had asked to return to Addis Ababa, the airline said. JUST IN: 8 Americans among those killed in Ethiopian Airlines flight crash, Ethiopian Airlines CEO and Kenya’s transport minister says.